Headquartered in Detroit, Michigan and operating since 1946, AmeriSource Industrial Supply Co. (“AmeriSource” or the “Company”) is an industry-leading distributor of maintenance, repair and operations (“MRO”) supplies with a strategic geographic footprint across the midwestern and southern United States. The Company’s supplies are consumed primarily by middle-market manufacturing and general industrial customers. AmeriSource offers a variety of MRO products for maintenance, safety, production, packaging, janitorial, facility, office and breakroom supplies. In addition to its extensive product offering, the Company provides its customers with varying, customizable levels of value-added supply management services within their facilities. AmeriSource made a series of acquisitions beginning in 2015 in order to broaden geographic reach, enhance product offerings and diversify its customer base. During this period, the Company made significant investment into its inventory management infrastructure to position itself for long-term growth. To execute the next phase of its strategic plan, AmeriSource decided to pursue strategic alternatives including a sale of the business. SSG was retained by AmeriSource to conduct a comprehensive marketing process and solicit offers for the Company. The process attracted significant interest from multiple parties which engaged in a thorough review of AmeriSource and submitted offers for the business. 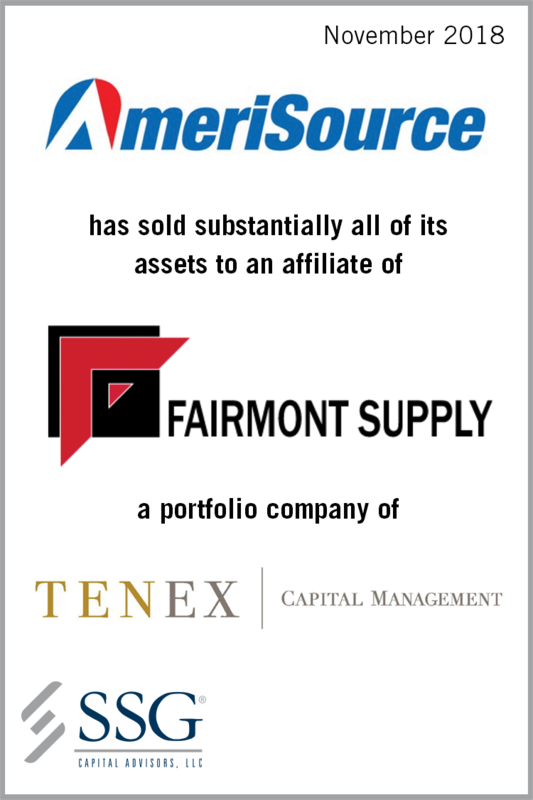 Fairmont Supply Company, a portfolio company of Tenex Capital Management, submitted the most compelling offer which led to an optimal outcome for the Company and its stakeholders.